First time students please arrive at least 10 minutes early. Avoid eating a big meal within 3 hours before class. Women often wear yoga shorts or capri pants and a yoga top. Men often wear shorts, biking shorts, or bathing trunks. Bring a water bottle, towel, and wash cloth. 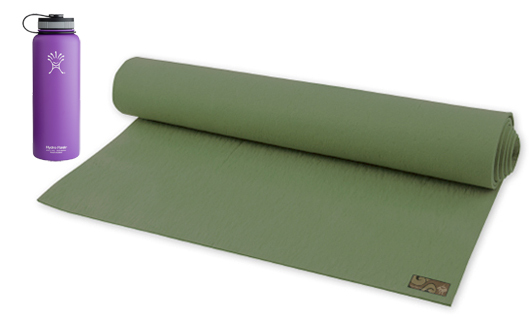 Yoga mats required -- bring your own or rent a mat at the studio. Payments can be made with cash, check, or credit card. We have prAna clothing and Hydro Flask water bottles for sale at the studio.